A game of Pong remixed with characters with special powers to bounce the ball back and forth. Choose your nation and your goal is to shoot the ball into your opponent's goal. You cannot catch the ball during the shootout but instead block it from entering your own goal. Much like ping pong but with air bending skills. Power-ups may also be collected. ( 1 ) - Defensive skills. Spacebar - Release the ball. 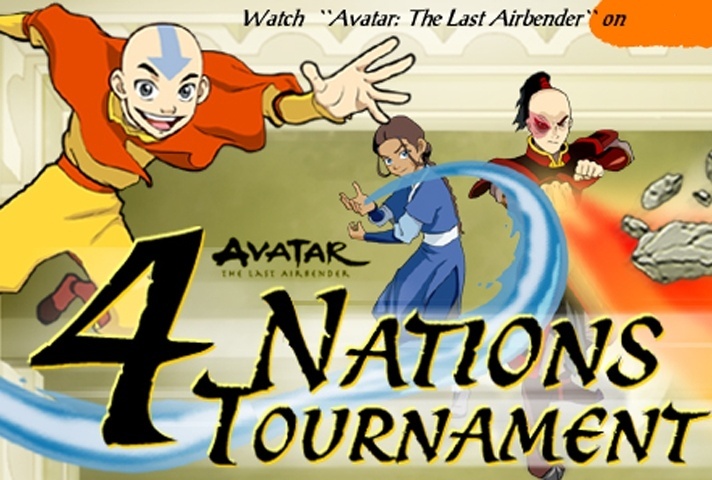 If you want to play Avatar - 4 Nations Tournament games online you have come to the right place! GamesLoon adds new Avatar - 4 Nations Tournament games every week. This is your game portal where you can find the biggest collection of free Avatar - 4 Nations Tournament games online. Do not forget to rate our Avatar - 4 Nations Tournament free online games while playing!